Michael's mom makes ridiculous amounts of food. Like...always. Anytime we're eating there she makes, like, 8 things at once. It is insanity. Delicious insanity but...still. One of the more common meals we end up eating over there is breakfast/brunch (or 2nd breakfast or elevensies...they enjoy LoTR). And my fave thing that makes an appearance during these "breakfasts" are her potatoes. 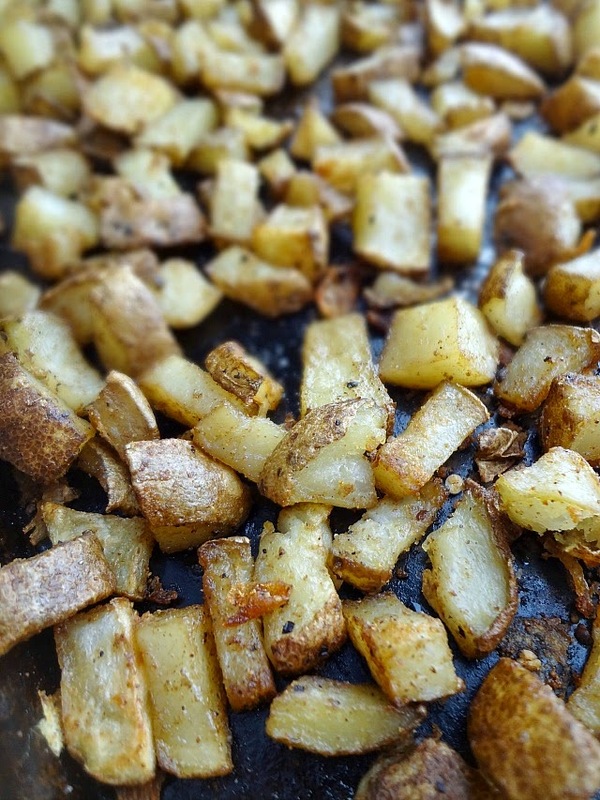 They're super crispy and sort of spicy (to me anyway, which means to normal people they're probably not very spicy at all) and I've seen her make them and I'd witnessed how simple and quick they are to make! So I was like...duh...let's do this. All you need to do is stand in the kitchen and watch your adorable, 4'10" future-mother-in-law quickly chop up some potatoes and...oh...wait...you don't have your very own Mama Maria? 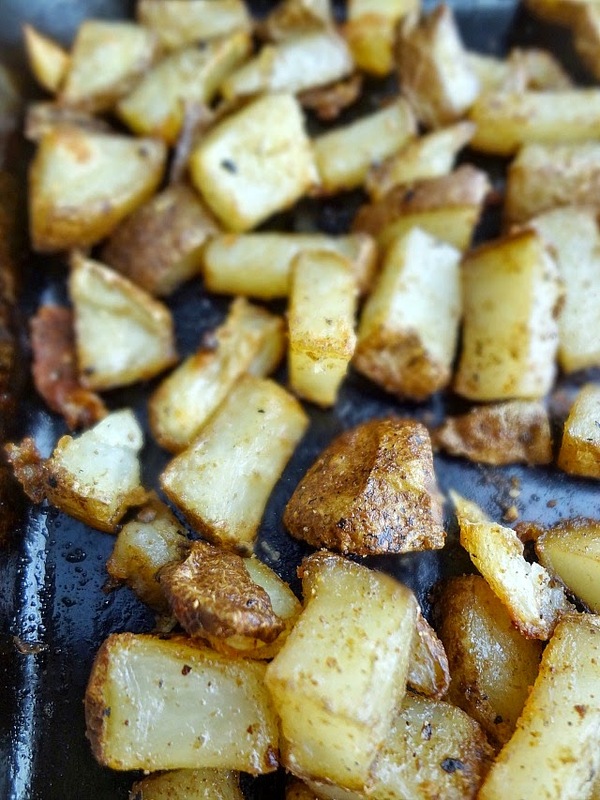 Something pretty awesome about this method of cooking potatoes (aside from how easy it is) is that it's completely up to you how you want them to taste. Season according to your personal preferences! Michael's mom uses paprika and salt and pepper--maybe you want rosemary! Or truffle salt! Or maybe chili powder--it's entirely up to you. And then you can serve them aside eggs or crepes or with steak. And they're crisp on the outside and soft on the inside and so rustic looking and they taste like maybe a cowboy made them for you...like...in a good way. Because, in my case, it's usually a sweet little Italian woman making them for me. Recipe adapted from Michael's mom, Maria. Preheat oven to 400F degrees. Coat a rimmed baking sheet with approximated 2 tbsp. oil. Scrub potatoes thoroughly and chop into 1 inch chunks. 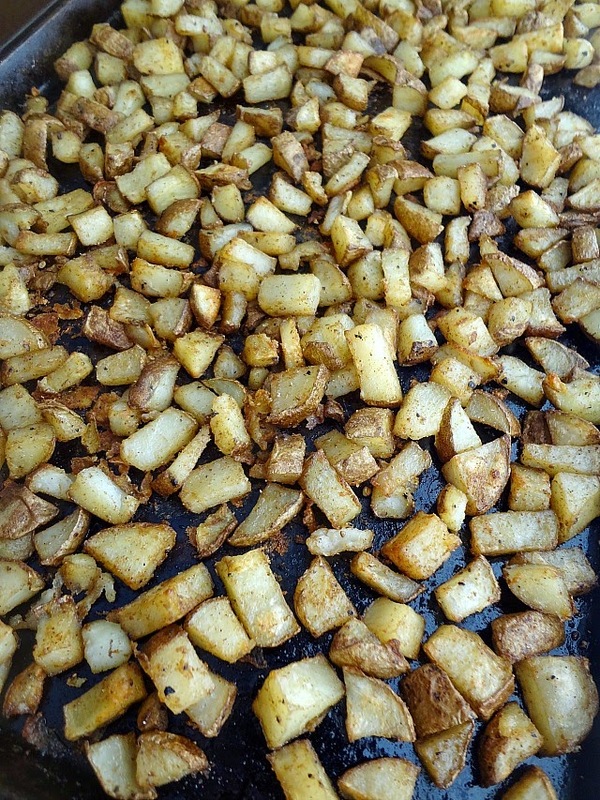 Lay chopped potatoes in a single layer on prepared baking sheet and season. Toss to coat in seasonings and oil. Bake for 40 minutes-until very crisp and beginning to brown. Stir a few times during the baking process and add more oil if necessary. 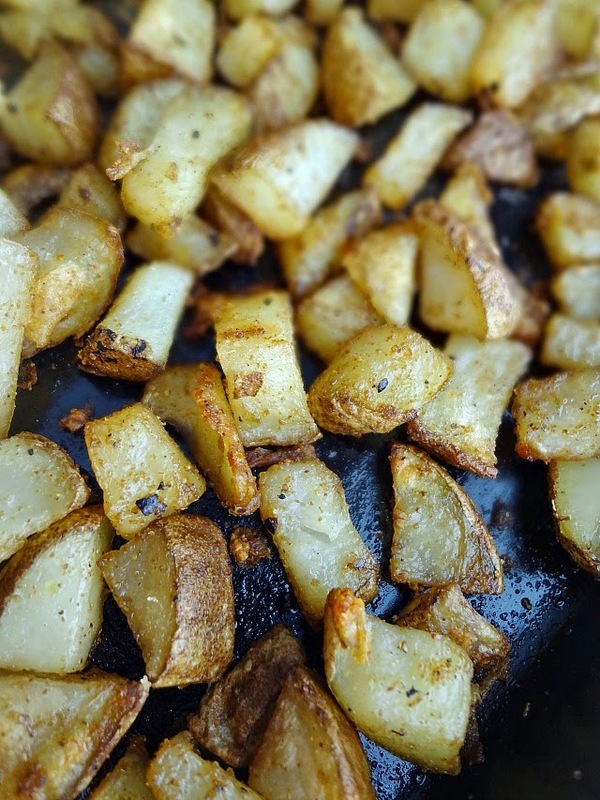 I love up close shots of these potatoes. 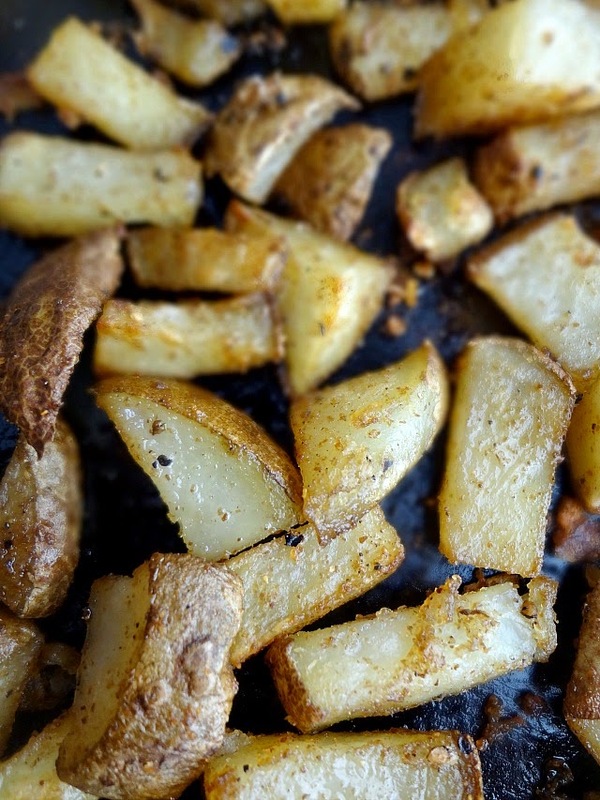 You can see the crispy skin and the tender potatoes...mmm.